← Past it at 12? As writers, we know there must be conflict between characters or no one will read our stories. This is what people want from their entertainment, and this is why shows like Big Brother do their best to whip up conflict between contestants – but the contestants seem to forget this simple fact when they enter the house and end up being sucked into the drama. If this didn’t happen, the show wouldn’t work. Yes, I do watch Big Brother – it’s one of my guilty pleasures, and this post is an attempt to justify it by coming over all writerly and philosophical. Sorry. 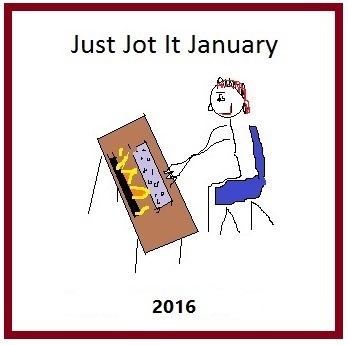 Got a January jotting? Visit http://lindaghill.com/2015/12/31/just-jot-it-january-2016-rules/ to find out how you can get involved. This entry was posted in Annabelle and tagged #JusJoJan, Big Brother, Celebrity, Conflict, Drama, Entertainment, Humour, Inspiration, Reality TV, Stories, Writing. Bookmark the permalink. I don’t watch Big Brother, but I had a younger brother. Does that count? Depends whether you argued a lot. I also have a younger brother, and when we were kids the conflict between us caused plenty of drama! Ahaha! “All writerly and philosophical”!!! Love that line!